Did you ever visit an account for an initial cockroach service and find hard brown globs of dried up cockroach bait stuck in the corners of the cabinets and lining the junction of the countertop and walls? The reason this bait was not eaten is not because the cockroaches didn’t like it (although glucose aversion could have been an issue), it’s because the bait dried out before they could consume it all. 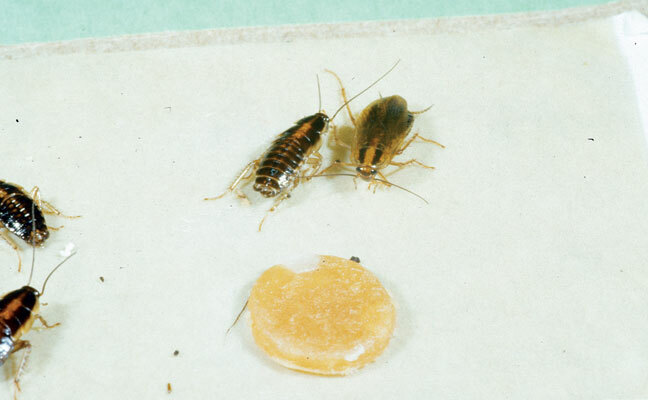 The best way to increase the speed at which cockroaches can consume the bait is to reduce the size of the placements while increasing the number of applications. That is, make lots of small applications in the places where the pests are most active. In theory, this is easy. But in a cluttered, crowded apartment kitchen, it’s easier said than done. A technician quickly runs out of cracks and crevices, and the act of making dozens of placements in a kitchen takes up valuable time. Recently, I witnessed Dr. Dini Miller, an urban pest management specialist for the Commonwealth of Virginia at Virginia Polytechnic Institute and State University (Virginia Tech), tell an audience of pest management professionals about a creative way to place bait in an account by using “bait burritos.” The “burritos” (they looked more like tacos to me) were actually folded wax paper triangles containing precise bait gel placements that were prepared ahead of time and placed strategically inside cabinets and other areas infested with cockroaches. The wax paper protected the bait and was easily positioned in places that a glob of bait might otherwise be frowned upon. So, the next time you are faced with a daunting cockroach job, get creative and prepare bait applications in advance, cutting down on time needed to search for places to apply bait and increasing the number of placements that can be made. After all, what self-respecting cockroach can resist a burrito (or taco)?